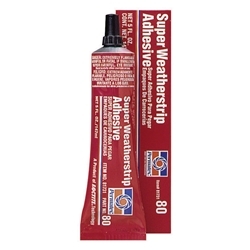 A superior adhesive ideal for many applications including rubber, metal, auto or van carpeting and fabric-backed vinyl upholstery and automotive gaskets. Allows for repositioning parts after contact is made. Withstands extreme temperatures. Waterproof. Resists gasoline, kerosene, antifreeze and most solvents.